Carnival Cruise Line has announced a series of cruises will be offered from San Francisco for the first time ever. The cruise line will deploy Carnival Miracle to sail four 15-day voyages from the city. How about a Carnival cruise from San Francisco on the U.S. west coast? The ship will sail 4-day to 15-day voyages from the city in 2020. The ship will sail to Alaska, Hawaii, and Mexico which will expand Carnival operations even further after the upcoming Carnival Panorama will be based from Long Beach starting at the end of 2019. Carnival Miracle will also sail from San Diego offering 3-day to 15-day voyages in the Winter 2020-21 season. These cruises will begin on October 4, 2020. The Spirit-class vessel’s first ever cruise from San Francisco will depart on March 19, 2020. The deployment will include 4-day cruises to Ensenada which will depart on Thursdays during the spring and summer season. Slightly longer 5-day and 6-day cruises will be offered from the city and it will include calls in Ensenada, Catalina Island and San Diego in the spring. Much longer 10-day voyages to Alaska from San Francisco will feature calls to Juneau, Skagway, and Icy Strait Point as well as opportunities to visit Sitka and cruise Tracy Arm Fjord. A one-time 11-day cruise departing on August 9, 2020, to Alaska will also be available. 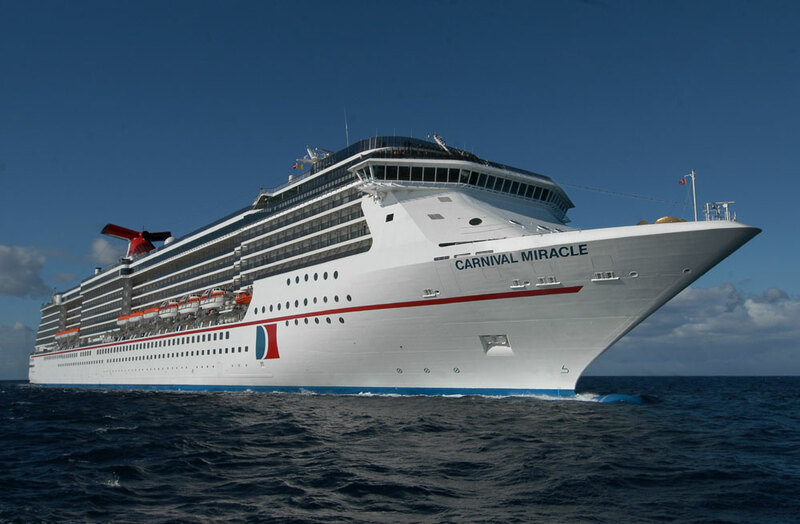 Carnival Miracle will offer a Carnival Journeys voyage to Hawaii which will last for 15-days. The itinerary will depart on April 16, 2020, and including Maui (Kahului), Honolulu, Hilo, Kona, and Kauai, as well as a stop in Ensenada. Another Carnival Journeys voyage will be offered for the repositioning cruise departing on March 2, 2020. The 17-day itinerary will transit the Panama Canal and make calls to Santa Marta and Cartagena, Colombia; and Limon, Costa Rica, Puntarenas, Costa Rica; Puerto Quetzal, Guatemala; and Cabo San Lucas, Mexico. Carnival Miracle is currently based out of Tampa, Florida and is an 88,500 gross ton cruise ship. She has a guest capacity of over 2,100.